Republished by e-Healthcare Marketing below. I have served on, and been advised by, lots of volunteer committees in both the private and public sectors. Some have been helpful, some less so. But nothing prepared me for the magnificent way our Health Information Technology Policy Committee (HITPC) and Health Information Technology Standards Committee (HITSC) have performed, and the role they have played in implementing the HITECH Act. My hat’s off to the wise legislators who created these two statutory bodies under HITECH. And my deep thanks goes to the chairs and co-chairs of the committees, to the dedicated citizens and federal officials who have served on the FACAs and their workgroups over the last two years, as well as to Judy Sparrow, the ONC manager of our Federal Advisory Committees process. 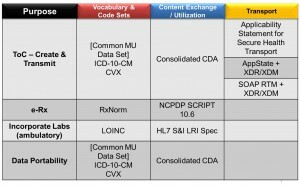 The basic structure and content of the meaningful use rule: The HITPC and its Meaningful Use Workgroup suggested the five major health goals that provided the organizing framework for meaningful use; many of the specific objectives for meaningful use; and the idea of injecting flexibility into the meaningful use regime by creating a core set of objectives and a menu set from which providers could chose. The key standards that the Secretary adopted under the Interim Final Rule – setting forth standards, implementation specifications, and certification criteria for electronic health records (EHRs): The HITSC generated these standards based on previous work performed by the Health IT Standards Panel. The structure of the certification process: The HITPC and its Adoption/Certification Workgroup proposed that the certification process be open and competitive, and that we create a streamlined temporary process quickly – to be followed by a more complicated permanent process – so as to get certified records into the market in time for the beginning of meaningful use. The federal government adopted all these recommendations. The concept that patients should have “meaningful choice” regarding the uses of their personal health information: Bypassing the common controversy over whether patients should be able to “opt-in” or “opt-out” of the electronic exchange of their data, the HITPC and its Privacy and Security Tiger Team focused on the bottom line. Patients should have the information they need to make informed choices over how their data are managed. The Committee also laid out a definition of the term meaningful choice. 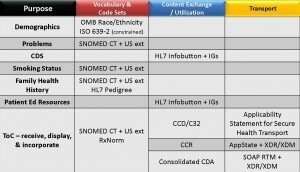 The governance of the Nationwide Health Information Network (NwHIN): The HITPC and its Governance Workgroup recommended that in fulfilling the HITECH requirement to govern the NwHIN, ONC develop conditions of trust and interoperability that any organization must meet to participate in the federally sponsored Nationwide Health Information Network. The decision about whether to meet those conditions, and become a member of NwHIN, would be voluntary. Thus the NwHIN would have to prove its usefulness as a guarantor of the privacy and security of data and of effective interoperability – a very useful market test of the government’s NwHIN service. ONC’s advisory groups have made and will continue to make many other contributions. All have taken shape in open meetings with opportunities for public comment. Indeed, in some ways, our FACAs have made policy development at ONC wiki-like – a ground up, participatory process in which the federal government has facilitated the work of a vast community of citizen experts. This experience with the ONC FACAs raises the general question of why some federal advisory committees are more successful than others, but some key factors seem to have played a role. The HITECH legislation and the meaningful use framework gave the committees concrete deliverables and timelines. This made it easier to set priorities and push to consensus on numerous, complex, and potentially divisive issues. A second factor may have been the nature of the HIT community. Its members believe passionately in the value of information to make health and health care better, and they are ready to commit personal time and set aside personal agendas in service of creating a modern, electronic health information system for the United States. Regardless of the reasons, the ONC FACAs have been a wonderful surprise. We could never have accomplished what we have without them. If HITECH reaches its potential, a lot of the credit will go to the hundreds of dedicated citizens who have contributed thousands of person-hours to make health care better for all Americans through HIT. 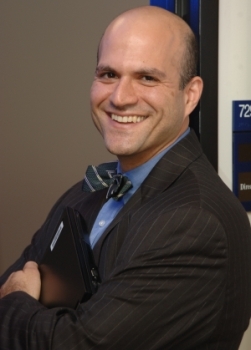 In the January 2011 Annual Meeting of eHealth Initiative in Washington, DC, this blogger had the privilege of asking Dr. Blumenthal the first question after the National Coordinator delivered a keynote address. In short the question was “What’s most surprised you in your tenure as Coordinator?” Dr. Blumenthal paused for a moment, appearing to reflect, seemed to indicate it was the first time he had been asked the question, and he answered that the tremendous volunteer effort of the Health IT community in supporting the Office of the National Coordinator was the most surprising. The Office of the National Coordinator for Health IT (ONC) announced today that providers and public health agencies in Minnesota and Rhode Island began this month exchanging health information using specifications developed by the Direct Project, an ‘open government’ initiative that calls on cooperative efforts by organizations in the health care and information technology sectors. Other Direct Project pilot programs will also be launched soon in New York, Connecticut, Tennessee, Texas, Oklahoma and California to demonstrate the effectiveness of the streamlined Direct Project approach, which supports information exchange for core elements of patient care and public health reporting. The launch of the pilot demonstrations, less than a year from the inception of the Direct Project, shows the project is on track to give U.S. health care providers early access to an easy-to-use, internet-based tool that can replace mail and fax transmissions of patient data with secure and efficient electronic health information exchange. Designed as part of President Obama’s ‘open government’ initiative to drive rapid innovation, the Direct Project last year brought together some 200 participants from more than 60 companies and other organizations. The volunteers worked together to assemble consensus standards that support secure exchange of basic clinical information and public health data. Now, pilot testing of information exchange based on Direct Project specifications is being carried out on schedule this year, aiming toward formal adoption of the standards and wide availability for providers by 2012. 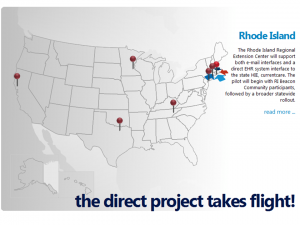 The second pilot implementation site, The Rhode Island Quality Institute (RIQI), has delivered a pilot project with two primary goals. First, RIQI is improving patient care when patients are referred to specialists by demonstrating simple, direct provider-to-provider data. Second, RIQI is leveraging Direct Project messaging as a means to securely feed clinical information, with patient consent from practice-based EHRs to the state-wide HIE, currentcare, to improve quality by detecting gaps in care and making sure the full record is available to all care providers. Other pilot projects to be launched this year include a Tennessee effort with the Veteran’s Administration, local hospitals and CareSpark to provide care to veterans and their families; a New York effort including clinicians in hospital and ambulatory care settings with MedAllies and EHR vendors; a Connecticut effort involving patients, hospitals, ambulatory care settings and a Federally Qualified Health Center with Medical Professional Services, a PHR, and a major reference laboratory; an expansion of the VisionShare immunization data pilot to Oklahoma; a California rural care effort involving patients, hospitals and ambulatory care settings with Redwood MedNet; and an effort in South Texas with a collaboration of hospitals, ambulatory care settings, public health, and community health organizations to improve care to mothers with gestational diabetes and their newborns. The Direct Project was launched in March 2010 as a part of the Nationwide Health Information Network, to specify a simple, secure, scalable, standards-based way for participants to send authenticated, encrypted health information directly to known, trusted recipients over the Internet in support of Stage 1 Meaningful Use requirements. Participants include EHR and PHR vendors, medical organizations, systems integrators, integrated delivery networks, federal organizations, state and regional health information organizations, organizations that provide health information exchange capabilities, and health information technology consultants. Information transfers supported by Direct Project specifications address core needs, including standardized exchange of laboratory results; physician-to-physician transfers of summary patient records; transmission of data from physicians to hospitals for patient admission; transmission of hospital discharge data back to physicians; and transmission of information to public health agencies. 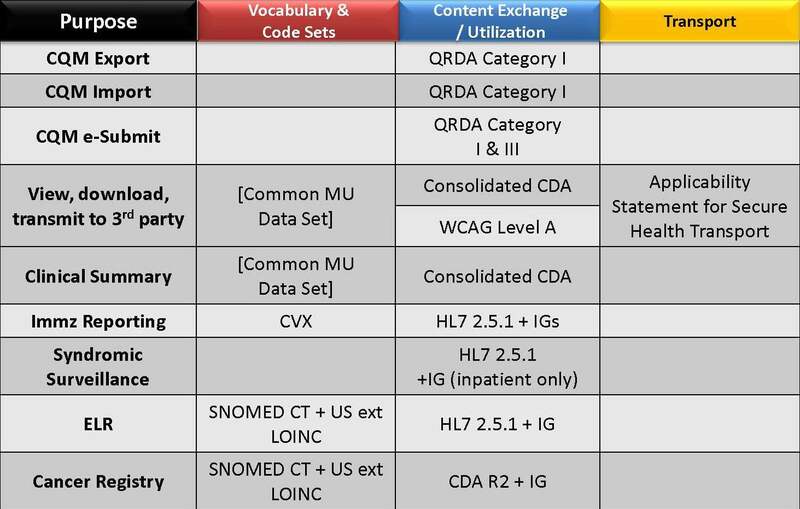 In addition to representing most-needed information transfers for clinicians and hospitals, these information exchange capabilities will also support providers in meeting “meaningful use” objectives established last year by HHS, and will thus support providers in qualifying for Medicare and Medicaid incentive payments in their use of electronic health records. The Direct Project specifications can also support physician-to-patient information transfers, and Microsoft Corp. today announced an application for that purpose based on Direct Project standards. For more information about the Direct Project, please visit http://directproject.org. Other ongoing efforts supported by ONC are underway to bring about a comprehensive health information structure in the U.S. These include technical and governance issues that are being addressed under the Nationwide Health Information Network, which embodies the standards, services and policies that enable health information exchange over the internet. 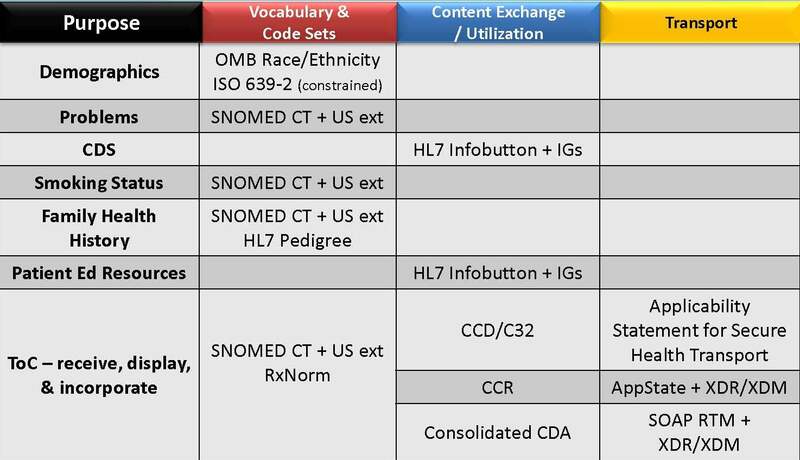 The Nationwide Health Information Network Exchange is already supporting some health information exchange between federal agencies and the private sector. In addition, ONC provides grants to states to develop locally-appropriate policies and standards for health information exchange that are consonant with broader national standards. For more information about the Office of the National Coordinator for Health Information Technology, please visit http://healthit.hhs.gov/. Wednesday, February 2nd, 2011 | Posted by: Dr. David Blumenthal and Aneesh Chopra U.S. Chief Technology Officer and Associate Director for Technology White House Office of Science and Technology Policy on ONC’s Health IT Buzz blog and reposted here by e-Healthcare Marketing. 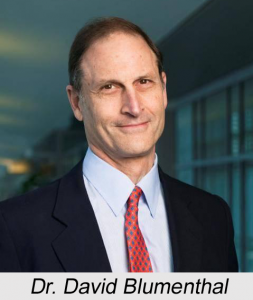 For comments on Blumenthal/Chopra blog post, go directly to ONC’s Health IT Buzz blog. Steve Lohr of New York Times describes in February 2, 2011 Bits blog post how ONC took a “page from the open-source model of collaboration” to develop the Direct Project, formerly called NHIN Direct. 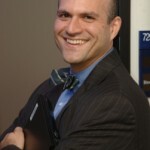 Arien Malec, director for the Direct Project, wrote his own blog post with initial reporting on the breadth of the project and a go-live event held in Washington, DC on February 2, 2011.